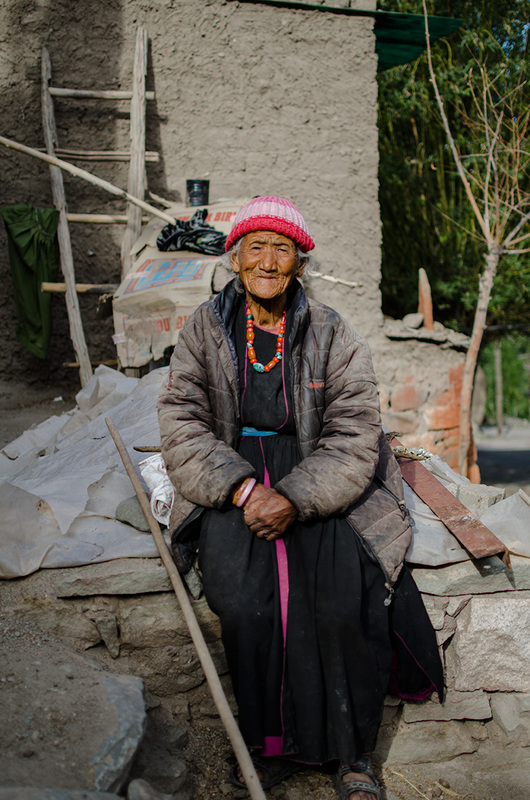 88 year old Ladakhi woman outside her house. Hemis, Ladakh. 2014.